Lennar Corporation (NYSE: LEN and LEN.B) and CalAtlantic Group, Inc. (NYSE: CAA) today announced that their respective boards of directors have unanimously approved a definitive merger agreement pursuant to which each share of CalAtlantic stock will be exchanged for 0.885 shares of Lennar Class A common stock in a transaction valued at approximately $9.3 billion, including $3.6 billion of net debt assumed. The business combination will create the nation’s largest homebuilder with the last twelve months of revenues in excess of $17 billion and equity market capitalization, based on current market prices, of approximately $18 billion. The combined company will control approximately 240,000 homesites and will have approximately 1,300 active communities in 49 markets across 21 states, where approximately 50% of the U.S. population currently lives. It is currently anticipated that the transaction will generate annual cost savings and synergies of approximately $250 million, with approximately $75 million achieved in fiscal year 2018. These synergies are expected to be achieved through direct cost savings, reduced overhead costs and the elimination of duplicate public company expenses. Additional savings are also expected through production efficiencies, technology initiatives, and the roll out of Lennar’s digital marketing and dynamic pricing programs. 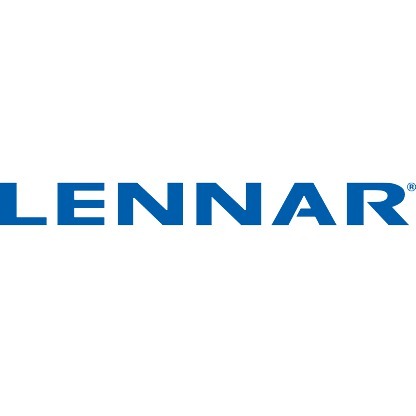 Under the terms of the merger agreement, each share of CalAtlantic stock will be converted into the right to receive 0.885 shares of Lennar Class A common stock. Based on the closing price of Lennar’s Class A common stock on the NYSE on October 27, 2017, the implied value of the stock consideration is $51.34 per share, representing a 27% premium to CalAtlantic’s closing price that same day. CalAtlantic’s stockholders will also have the option to elect to exchange all or a portion of their shares for cash in the amount of $48.26 per share, subject to a maximum cash amount of approximately $1.2 billion. CalAtlantic stockholders will receive Lennar stock unless they exercise an option to receive cash. On a pro forma basis, CalAtlantic stockholders are expected to own approximately 26% of the combined company. The transaction is expected to close in the first calendar quarter of 2018. The transaction is subject to approval by Lennar and CalAtlantic stockholders. Stuart Miller and the Miller Family Trusts have agreed to vote their 41.4% voting interest in Lennar in favor of the merger. MP CA Homes LLC, an affiliate of MatlinPatterson Global Opportunities Partners III L.P., has agreed to vote its 25.4% voting interest in CalAtlantic in favor of the merger. Additionally, MP CA Homes has agreed to exercise the cash election for at least the number of shares to cause the maximum cash consideration amount to be fully subscribed by electing stockholders. Any cash election by MP CA Homes will be subject to proration into shares of Lennar Class A common stock, along with all other stockholders of CalAtlantic, who elect cash, if the number of cash elections by CalAtlantic stockholders exceeds the maximum cash amount. Upon completion of the transaction, Mr. Stowell, CalAtlantic’s Executive Chairman, will join the Lennar Board of Directors. Citi served as financial advisor for Lennar and Goodwin Procter LLP acted as Lennar’s legal counsel. JP Morgan Securities LLC served as financial advisor to CalAtlantic and Gibson, Dunn & Crutcher LLP acted as CalAtlantic’s legal counsel. A conference call to discuss this release will be held at 11:00 a.m. Eastern Time on October 30, 2017. The call will be accessible via telephone by dialing 517-308-9039 and entering 5723593 as the confirmation number. A presentation for the call can be accessed through Lennar’s website at www.lennar.com. A replay of the conference call will also be available later that day by dialing 203-369-3781. Lennar Corporation, founded in 1954, is one of the nation’s largest builders of quality homes for all generations. Lennar builds affordable, move-up and retirement homes primarily under the Lennar brand name. Lennar’s Financial Services segment provides mortgage financing, title insurance and closing services for both buyers of Lennar’s homes and others. Lennar’s Rialto segment is a vertically integrated asset management platform focused on investing throughout the commercial real estate capital structure. Lennar’s Multifamily segment is a nationwide developer of high-quality multifamily rental properties. Previous press releases and further information about Lennar may be obtained at the “Investor Relations” section of Lennar’s website, www.lennar.com. CalAtlantic Group, Inc., one of the nation’s largest and most respected homebuilders, offers well-crafted homes in thoughtfully designed communities that meet the desires of customers across the homebuilding spectrum, from entry level to luxury, in 43 Metropolitan Statistical Areas spanning 19 states. With a trusted reputation for quality craftsmanship, an outstanding customer experience and exceptional architectural design earned over its 50 year history, CalAtlantic Group, Inc. utilizes its over five decades of land acquisition, development and homebuilding expertise to acquire and build desirable communities in locations that meet the high expectations of the company’s homebuyers.Additional information about CalAtlantic Group, Inc. is available by visiting www.calatlantichomes.com. Some of the statements in this press release are “forward-looking statements,” as that term is defined in the Private Securities Litigation Reform Act of 1995, including statements regarding the expected time of the completion of the transaction. These forward-looking statements, which are based on current expectations, estimates and projections about the industry and markets in which Lennar and CalAtlantic operate and beliefs of and assumptions made by Lennar management and CalAtlantic management, involve uncertainties that could significantly affect the financial results of Lennar or CalAtlantic or the combined company. Words such as “expects,” “anticipates,” “intends,” “plans,” “believes,” “seeks,” “estimates,” and variations of such words and similar expressions are intended to identify such forward-looking statements, which generally are not historical in nature. Such forward-looking statements include, but are not limited to, statements about the anticipated benefits of the proposed merger between Lennar and CalAtlantic, including future financial and operating results, the attractiveness of the value to be received by CalAtlantic stockholders, the combined company’s plans, objectives, expectations and intentions, and the percentage the CalAtlantic stockholders are expected to own of the combined company. All statements that address operating performance, events or developments that we expect or anticipate will occur in the future — including statements relating to expected synergies, improved market positioning and ongoing business strategies — are forward-looking statements. These statements are not guarantees of future performance and involve certain risks, uncertainties and assumptions that are difficult to predict. Although we believe the expectations reflected in the forward-looking statements are based on reasonable assumptions, we can give no assurance that our expectations will be attained and therefore, actual outcomes and results may differ materially from what is expressed or forecasted in such forward-looking statements. Some of the factors that may affect outcomes and results include, but are not limited to: (i) Lennar’s and CalAtlantic’s ability to obtain requisite approval from their respective stockholders; (ii) Lennar’s and CalAtlantic’s ability to satisfy the conditions to closing of the proposed merger; (iii) the occurrence of any event, change or other circumstances that could give rise to the termination of the merger agreement; (iv) availability of financing and capital; (v) failure to realize the benefits expected from the proposed acquisition; (vi) the risk that the cost savings and any other synergies from the acquisition may not be fully realized or may take longer to realize than expected; (vii) failure to promptly and effectively integrate the acquisition; (viii) other risks related to the completion of the proposed merger and actions related thereto; and (ix) the risks detailed in CalAtlantic’s and Lennar’s filings with the Securities and Exchange Commission (the “SEC”), including the “Risk Factors” sections of CalAtlantic’s Annual Report on Form 10-K for the year ended December 31, 2016 and Lennar’s Annual Report on Form 10-K for the fiscal year ended November 30, 2016, and their respective most recent Quarterly Reports on Form 10-Q. There can be no assurance that the merger will be completed, or if it is completed, that it will close within the anticipated time period or that the expected benefits of the merger will be realized. It is not possible for the management of either company to predict all the possible risks that could affect it or to assess the impact of all possible risks on the two companies’ businesses. Neither Lennar nor CalAtlantic undertakes any duty to update any forward-looking statements appearing in this document. This communication relates to the proposed merger pursuant to the terms of the Agreement and Plan of Merger, dated as of October 29, 2017, by and among CalAtlantic Group, Inc., Lennar Corporation and Cheetah Cub Group Corp. In connection with the proposed merger, Lennar expects to file with the SEC a registration statement on Form S-4 that will include a joint proxy statement of Lennar and CalAtlantic that also constitutes a prospectus of Lennar, which joint proxy statement/prospectus will be mailed or otherwise disseminated to Lennar and CalAtlantic stockholders when it becomes available. Lennar and CalAtlantic also plan to file other relevant documents with the SEC regarding the proposed merger. INVESTORS ARE URGED TO READ THE JOINT PROXY STATEMENT/PROSPECTUS AND OTHER RELEVANT DOCUMENTS FILED WITH THE SEC IF AND WHEN THEY BECOME AVAILABLE BECAUSE THEY WILL CONTAIN IMPORTANT INFORMATION ABOUT THE MERGER. You may obtain a free copy of the joint proxy statement/prospectus (if and when it becomes available) and other relevant documents filed by Lennar and CalAtlantic with the SEC at the SEC’s website at www.sec.gov. Copies of the documents filed by Lennar with the SEC will be available free of charge on Lennar’s website at www.lennar.com or by contacting Allison Bober, Investor Relations, at 305-485-2038. Copies of the documents filed by CalAtlantic with the SEC will be available free of charge on CalAtlantic’s website at www.calatlantichomes.com or by contacting Michelle Varela, Investor Relations, at 949-789-1651. Lennar and CalAtlantic and their respective directors and executive officers and other members of management and employees may be deemed to be participants in the solicitation of proxies in respect of the proposed merger. You can find information about Lennar’s executive officers and directors in Lennar’s definitive proxy statement filed with the SEC on March 7, 2017 in connection with its 2017 annual meeting of stockholders and in Form 4s of Lennar’s directors and executive officers filed with the SEC. You can find information about CalAtlantic’s executive officers and directors in CalAtlantic’s definitive proxy statement filed with the SEC on March 31, 2017 in connection with its 2017 annual meeting of stockholders and in Form 4s of CalAtlantic’s directors and executive officers filed with the SEC. Additional information regarding the participants in the proxy solicitation and a description of their direct and indirect interests, by security holdings or otherwise, will be included in the joint proxy statement/prospectus and other relevant documents filed with the SEC if and when they become available. You may obtain free copies of these documents from Lennar or CalAtlantic using the sources indicated above.